Street art in Brick Lane. A local character, and seemingly all round good chap. They make a special kind of person in the East End! Fantastic shot. Got to be a fav. 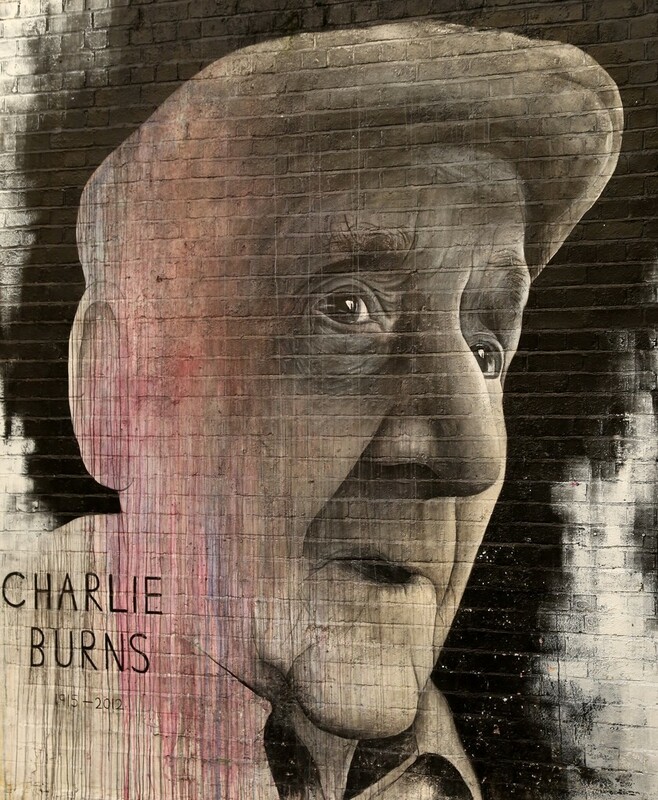 I am sure Charlie's family will be pleased with this wonderful piece of street art.